August is well and truly the holiday month and whether you have been away or are still looking forward to going, what could be nicer than having a sense of the seaside without leaving home? Creating a coastal feel to a corner of your garden is not difficult as long as you understand that you are aiming precisely at the ‘look and feel’ of the seaside and not actually planting things that naturally grow on the beach. Coast loving plants have evolved to thrive in specific conditions – see more in the side box – and you are not necessarily going to have these in your garden miles from the sea. Nor do you have to turn your shed into a beach hut, although a pale grey or blue stain will definitely give a coastal touch. The best approach is to consider the shapes, colours and textures of both plants and hard landscaping materials that we associate with coastal and seaside scenes. And then make choices about what you want to change or add to an area of garden to include these. For example, a weathered wooden fence could look very cottagey behind a lush, flowery border. But fronted by sparse, spiky planting through a layer of shingle, it assumes the appearance of a coastal groyne, breakwater or driftwood bleached by sea and sun. 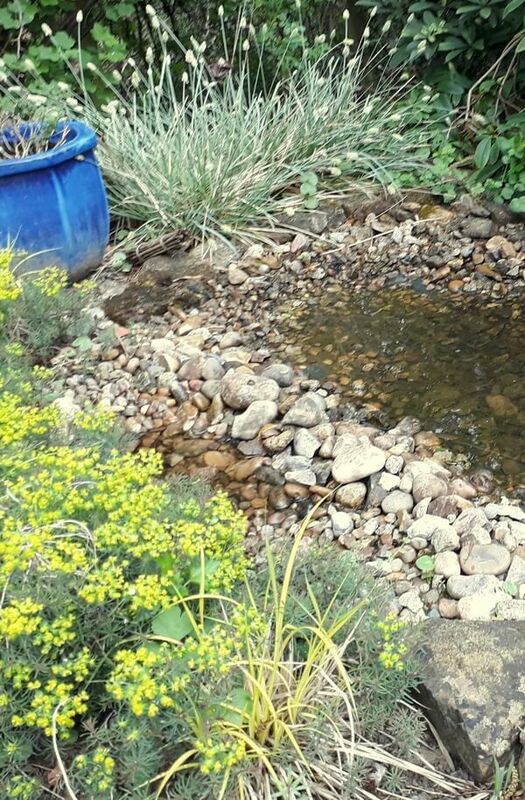 You might place a few smooth, rounded pebbles for a waterworn look or create a rock pool edged with craggier limestone. Use a layer or weed suppressant fabric to keep stones and gravel from sinking into the soil underneath, cutting an X in the fabric for each plant. The plants themselves need to suit your soil even if that is a rich clay-loam, about as far from a beach as soil can get. The beach effect is created visually: grey leaves, small leaves, spiky shapes and ornamental grasses to evoke the marram grass that colonises sand dunes. Finally, pick a colour scheme and stick to it, maybe pale blue and white which always seems nautical, or bright pink and yellow if your dream is a more tropical beach. Add a deckchair and find an excuse to settle in for an afternoon at the seaside. ← What’s wrong with Rhododendrons?